Virginia’s leading WordPress and Drupal web development company wins “2011 Best Small Business of The Year Award” awarded by the Chamber of Commerce. 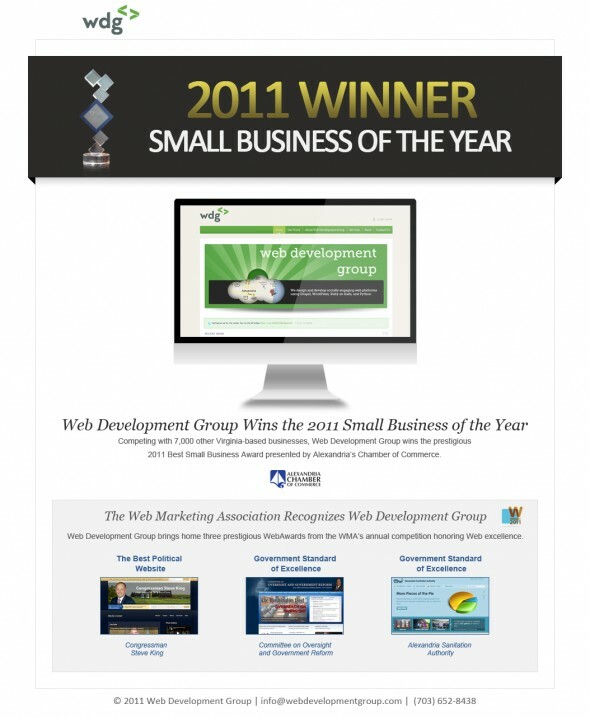 This is such an accomplishment for our company and we are honored to have been nominated and win this prestigious award. WordPress and Drupal Development Company in DC.